Soundcraft’s “Mixing with Professionals” (MwP) series is making a stop at The Fillmore in Charlotte, North Carolina on September 17, 2013, hosted by Broadway and tour sound engineer Lucas “Rico” Corrubia. Corrubia has more than 25 years of experience as a live sound engineer for an enviable number of high-profile gigs. He is currently a sound designer and consultant for the Donny and Marie Osmond UK arena tour and hip-hop dance troupe “Groovaloo” and has worked on Broadway and national shows including “Miss Saigon”, “Footloose”, ”Tommy”, “The Music of Andrew Lloyd Webber” and many more. He has been a concert sound engineer for Lauryn Hill, the B-52s, Christina Aguilera, Van Halen, The Roots, Frank Sinatra, Liza Minelli and other top performers. Corrubia will give MwP attendees in-depth training on the Soundcraft Vi Series consoles in a relaxed atmosphere that allows plenty of hands-on time. If participants bring a USB stick they can save the settings and take them on the road for their next gig, or keep working on their settings using the free Soundcraft Virtual Vi offline editors. The MwP sessions will be held on September 17 at The Fillmore, 1000 NC Music Factory Blvd., Charlotte, NC 28206. Two time slots will be available from 9:00 am – 12:00 noon and from 2:00 pm – 5:00 pm. The course is free to attend but registration is required and space is limited. 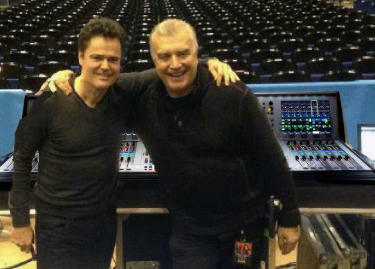 Details are available at usa.soundcraft.com and participants can register via e-mail at Soundcraft-usa@harman.com.